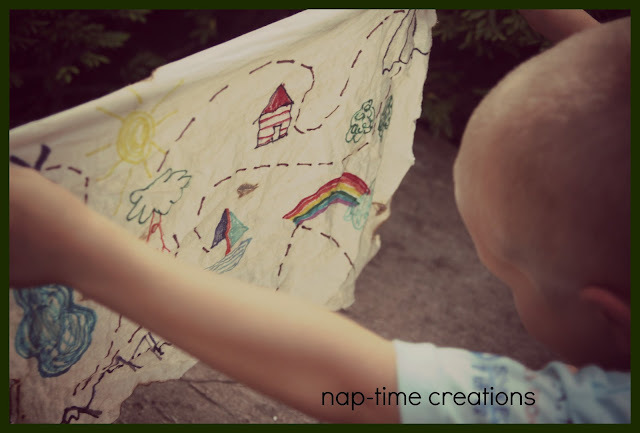 I made this easy treasure map for kids as an effort to keep my young kids buys one afternoon. 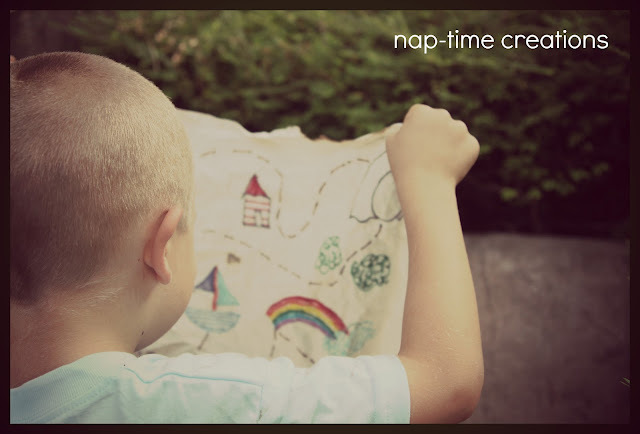 When my boys were small they loved playing with treasure maps. 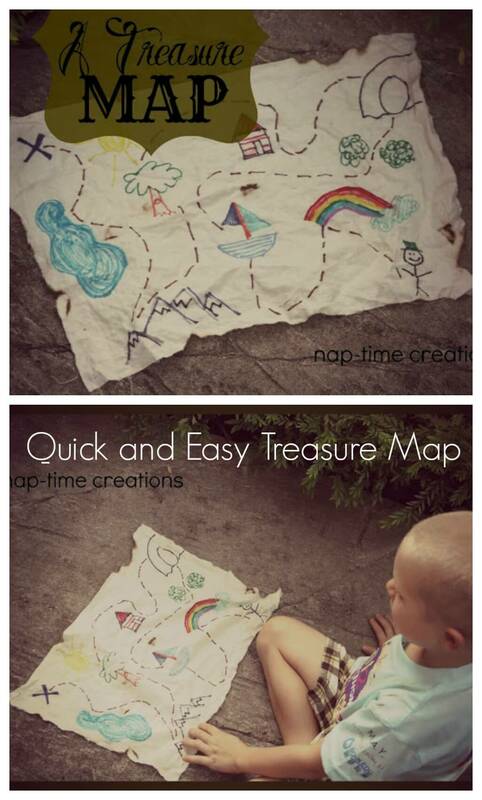 I made these easy treasure maps for them and they had hours of fun. 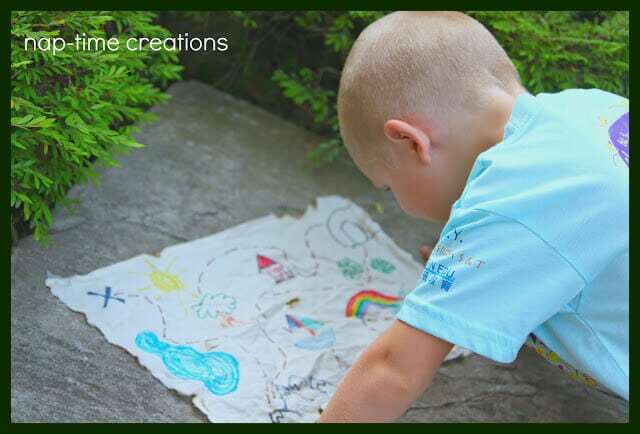 These DIY treasure maps didn’t actually lead anywhere, but you could make a map that actually led to a treat or treasure! My boys were small enough that they just had an imaginative hunt with this map, but you could make so many different kinds. My boys have been really into playing with maps. We don’t really have one they can play with though, so they have been using other random papers they have found. I decided to make them a map they could actually play with and with lots of fun destinations, too. 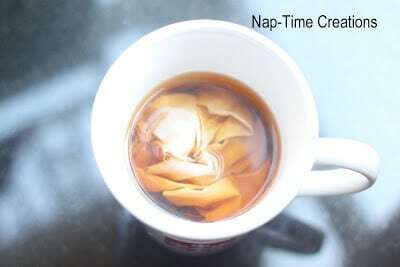 I started by cutting two pieces of muslin fabric and putting them into a cup of hot black tea. I then got out my sharpie makers and went to town. I started with a stick man and ended with an X, along the path there are lots of fun things to pretend and play. 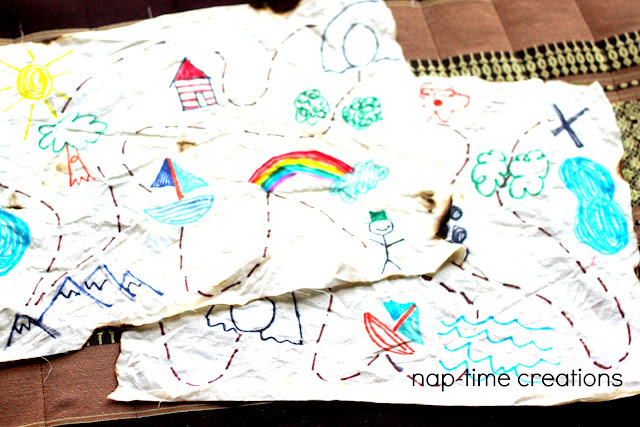 Ours is a pirate sort of map with the burned edges, but you could make Harry Potter maps, ancient maps or any other fun kind of play map. Now… study the map and take off on the next big adventure. The boys had SOO much fun with these and the maps were around for several years when they were young. 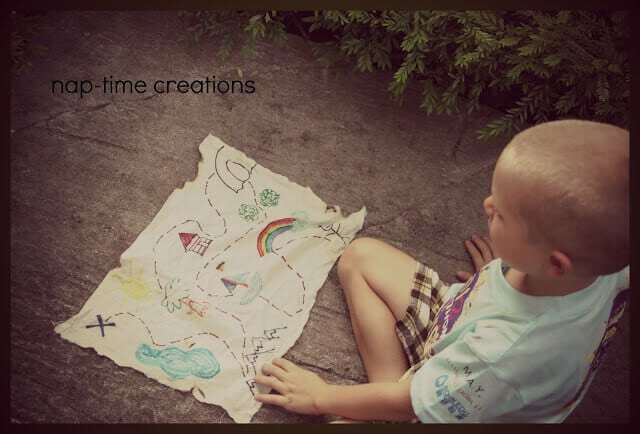 Here are more fun kids activities you could check out. Great idea! My kids are really into maps too! 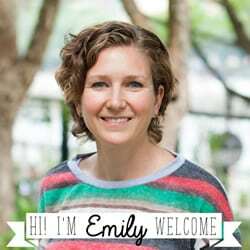 I have a weekend blog party going if you’d care to join up! Just seen you on today’s Sunday Blog Hop hosted by Danielle. Love this idea – hope they keep their interest in maps, and don’t come to rely solely on satnavs to get themselves about. Much more fun doing it this way! Come around, with the boys too, and visit the world of ColdhamCuddlies sometime: we’d love to see you! It can be found at http://www.ColdhamCuddliescalling.blogspot.com! I’ll be following here too!